Baisakhi, Vishu, Poila Boishakh and Bihu are different names of the Indian harvest festival that is celebrated by the farming communities in different states of India. Since this festival falls in the middle of the month of April (April 13), it marks the harvest time of the rabi (winter) crops in India. This season also marks the Indian new year, largely for the Bengali, Assamese, Oriya and Sikh communities. For expats, who are celebrating this festival away from their homeland, the one thing they all miss the most, is food. Celebrating nature's bounty with homemade delicacies is a major attraction of any Indian festival. Indian restaurants in the UAE have gone out to offer special thalis on this occasion. Kulcha King is renowned for its delicacies from the North Indian city of Amritsar. Marking the celebrations for the harvest festival of Punjab, Kulcha King has launched its special 'Baisakhi Thali'. The special Baisakhi Thali includes an offering of kadi pakoda, sarson da saag, makki di roti, saffron rice and badam kheer. Diners can also choose from dal makhani, missi roti, tawa phulka and veg biriyani. The Thali is priced at Dh32 and is available on April 13 and 14, 2016. Sharjah-based Palm Grove Kolkata Kitchen is also offering non-vegetarian meal combos priced at Dh35 and Dh40. 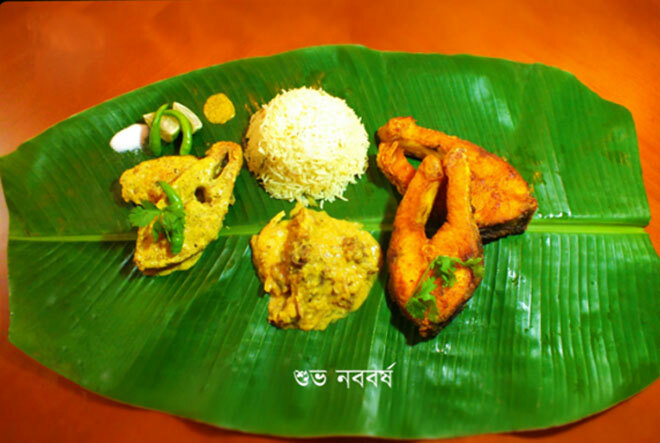 Some of the traditional delicacies on the 'Nobo borsho thali' include mango sorbet, cawliflower cutlet, soya mochar tikki, fish fry, lebu patar daal, shim curry, macher muro pui shaag, kuchi Bhorta, topshe shonar kella, Murshhidabadi murgir jhaal, special chutney and macher dimer ombol. The thali and its variations will be available on April 14, the day when most Bengalis usher in the New Year with loads of food and cultural shows. For table bookings and takeaways, contact 065532408 and 0509562972.